You must know that Chrome Browser – Google APK 52.0.2743.98 is considered as the best web browser. It is because the convenience offered to browse. Nowadays, you can get many information and news only from your Smartphone with browser application. On computer or laptop, you might be familiar with Google Chrome that is used as web browser. Moreover, it is available too for Smartphone, especially android system that was released on 2012. This application gets good response from many users because there are many benefits you can get from this browser. Some of them are great speed of browsing to across devices, and of course a lot of great features. There are many convenient features that give you a great experience of browsing with your Smartphone. There are some browsing gestures that you can use, like the swiping right or left on toolbar to open or switch the new tabs and pull the page to refresh. Then, the address bar is featured with smart system that can autocomplete the search result or give the suggestions while you are typing. Moreover, there is also a feature of voice search that enable you to input the address bar without typing. Furthermore, to make you easier in accessing and synchronizing the open tabs, this browser is also supported by chrome sync. Then, the home screen is also able to be customized with some shortcuts of commonly visited sites. Sometimes, the page does not look clear when it is opened in mobile view, so you can switch it to desktop version. 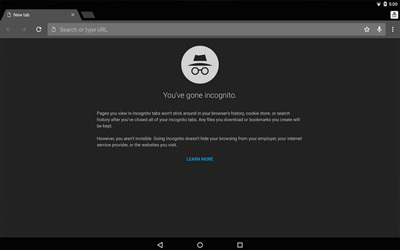 Besides, the browser also can give you privacy system like incognito mode that will make the search history unsaved. If you need to translate the page, there is Google translate built in this browser. Then, with those great features, you must be really convenient to browse with Chrome Browser for Android.